PRIVATE ALPINE MOUNTAIN GUIDE FOR SKI GUIDING, OFF-PISKE SKIING, SKI TOURING, SKI SAFARI AND MORE. 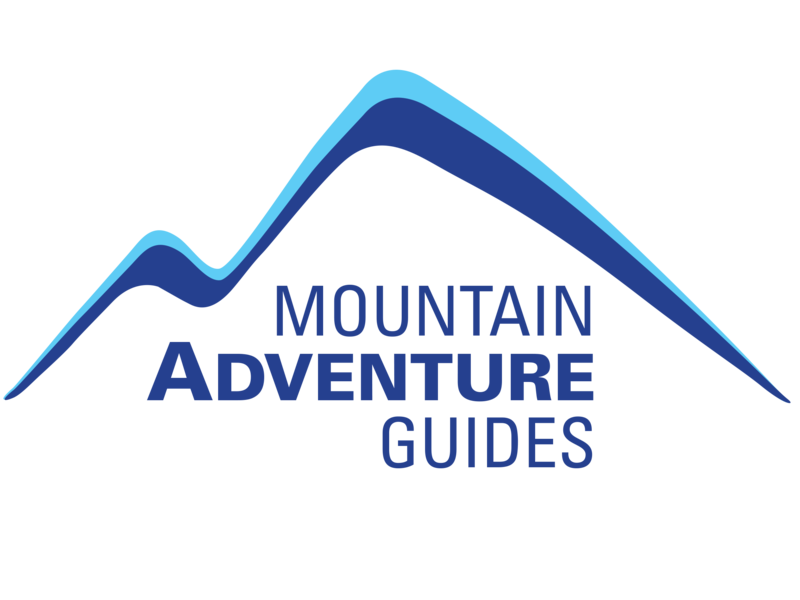 Mountain Adventure Guides are specialists in designing personal alpine experiences, whether walking, climbing or skiing. If you prefer not to join a course open to anyone and would like a priviate trip, or if you would like to do something not advertised here, we can arrange this for you. 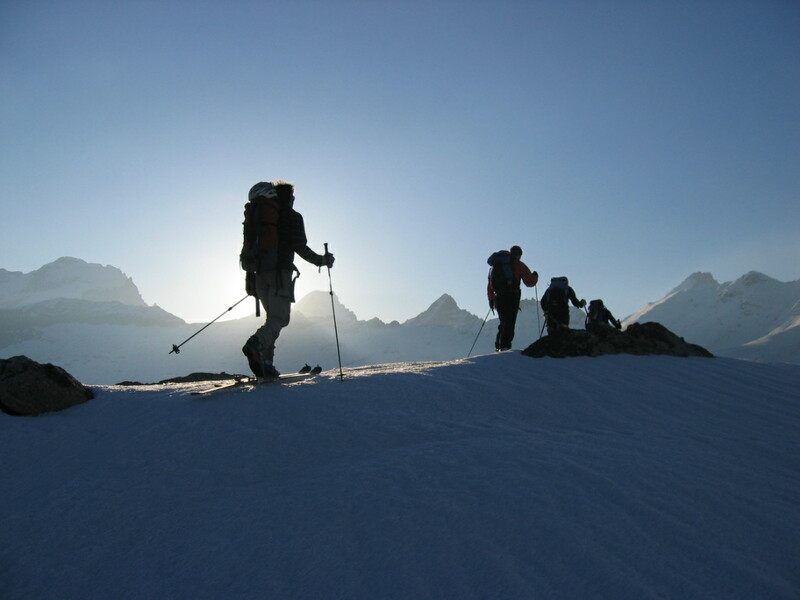 If you wish to work one-to-one with a guide then Mountain Adventure Guides can organise this too. Discuss your requirements with us. Draw on the extensive experience of Richard Mansfield, International Federation of Mountain Guides Associations (IFMGA) mountain guide and ex-director of training for the British Mountain Guides association. We can personalise and tailor your trip to match the experience you are looking for. 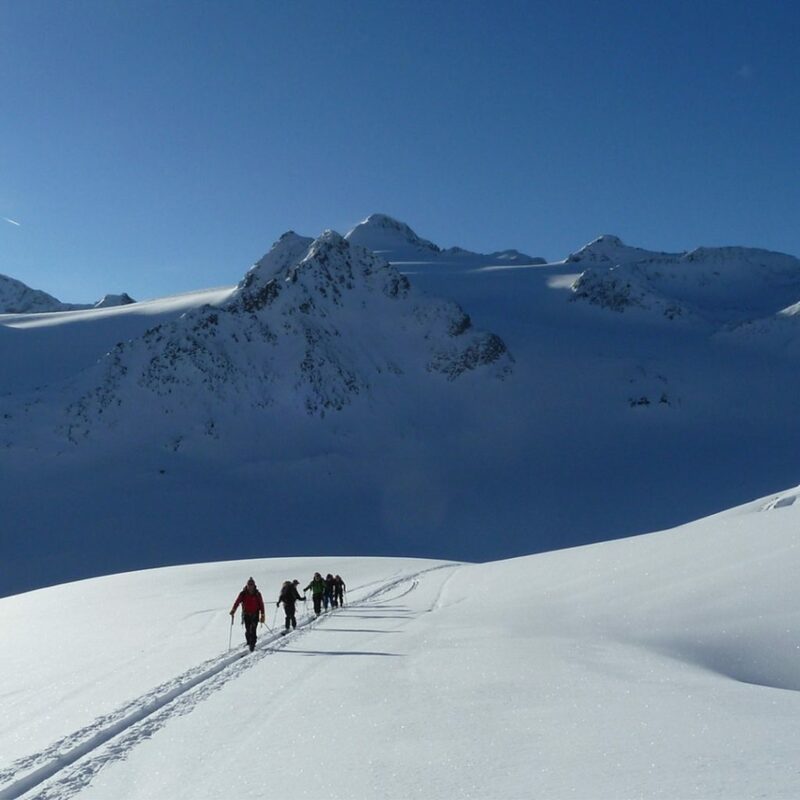 We work with a small team of highly talented, personable and experienced guides who will all endeavour to make your alpine holiday unique. We regularly provide services for corporate events and have years of experience working with TV and film projects, as well as photo shoots for magazines and clothing and equipment suppliers. Whatever your requirements we offer a year-round personal service to help you achieve your goals. Costs of private guiding and private trips will depend on the number of days and what is required by you. As with any of the courses, in order to book a private guide or a private trip, a deposit is required at the time of booking to secure the guide. The full fee is then required eight weeks ahead of the booked start date. For more information on pricing, see the box on the right. The normal cost of an IFMGA guide will vary depending on the group size and the itinerary to be undertaken. In addition to the mountain guide’s fees you will also have to pay for the guide’s expenses that are directly related to the guided experience. These will include but are not limited to: cable car tickets, mountain hut fees, food and accommodation when not in the Chamonix valley, travel costs outside the Chamonix Valley. If you require a breakdown of expected costs for your proposed private guided experience we can provide this for you. An equipment list will be supplied depending on your choice of activity and its requirements. Thank you so much for another great week in the Alps – we all thoroughly enjoyed it. And a huge thank you for getting Paul and I to the summit – without you we would not have made it. Thank you Richard, that was the best ski trip I have ever had. You made me feel like a pro! Thank you for being so encouraging and patient, and mostly for being so enthusiastic that I just wanted to ski better. It was great to learn about avalanche safety. It was something that I hadn't really considered before. All in all a fantastic experience and I will be recommending you to all my friends. I want to thank you for such a fabulous weekend of climbing. I must say that I always enjoy myself in the mountains but I found these last few days particularly enjoyable. Thank you for being so patient. Thanks again. For latest courses, tips etc. please sign up to our newsletter below.